Craftsman lawn mowers, like other rotary lawn mowers, utilize rapidly spinning blades to cut your lawn. The blades are mounted with a single bolt that runs through the middle of the blade and secures the blade to the engine shaft. You may want to remove your Craftsman lawn mower's blade to replace it or to sharpen it. 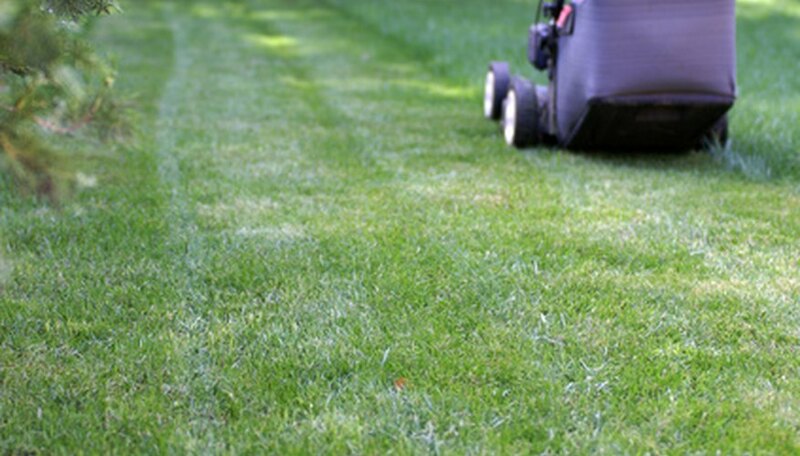 Your lawn will significantly benefit from either sharpening or replacing the blade each year. Removing the blade requires only a few tools. Start up the lawn mower and let it run out of gas. You may want to mow your lawn until the lawn mower is out of gas if your tank is full. Emptying the tank will prevent the gas from spilling out when the lawn mower is turned on its side. Push the lawn mower to a well-lit area with a smooth surface. Grasp the spark plug wire connector and remove it from the spark plug. Lay the lawn mower on its side and wedge a board between the blade and the mower deck housing. This will prevent the blade from spinning when you try to loosen the bolt. Look for the bolt in the center of the blade. Use either the correct size socket or an adjustable wrench and turn the bolt counterclockwise. Once the bolt is loosened, unscrew it the rest of the way by hand. Remove the bolt and associated washers and set aside. Gently remove the blade. It should pull right off. Wear gloves when handling lawn mower blades. They have sharp edges which can cause serious cuts.